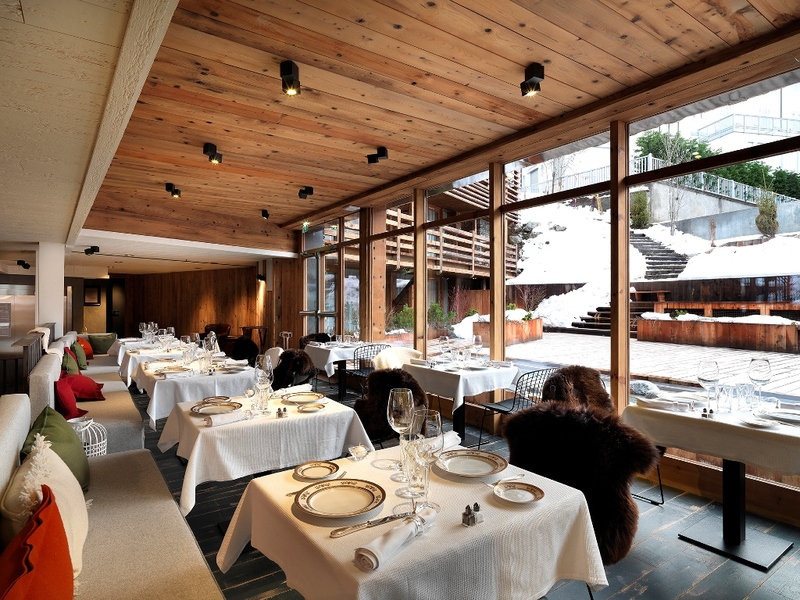 The 5-star French Alpine hotel, ‘’M de Megève”, part of Small Luxury Hotels of the World, is introducing new culinary offerings this upcoming year, in honour of 2019’s ski season. 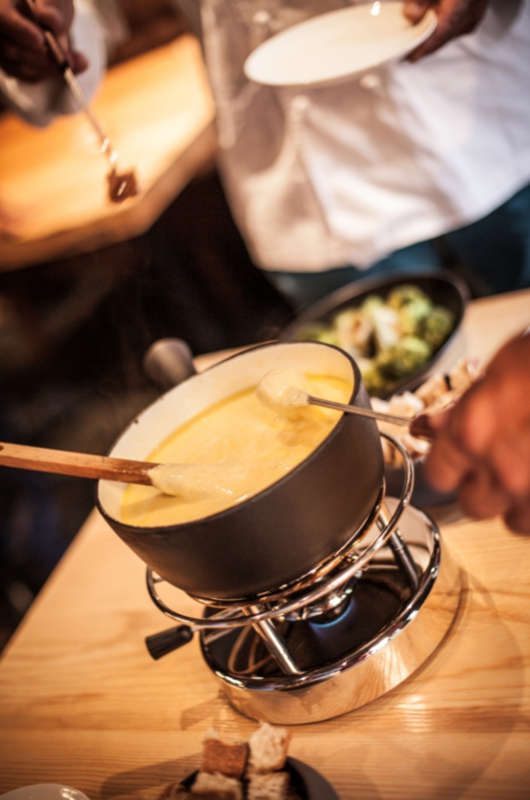 Guests who enjoy melted cheese after a day on the slopes will be pleased. 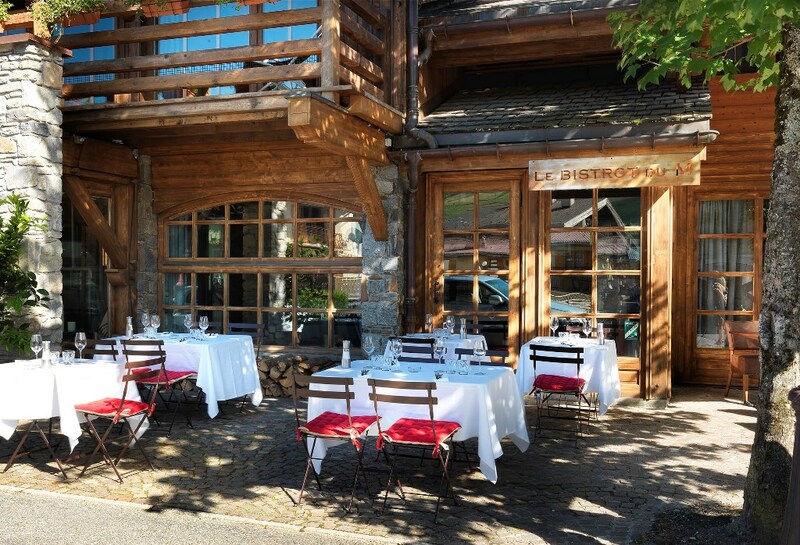 At the hotel’s Les Grands Crues de Fondues restaurant, they are encouraged to personalise their cheese fondue, with the help of cheese expert “fromagier” Thomas Lecomte, by selecting from a medley of the region’s best cheeses – all chosen by an “artisan affineur” – as well as by choosing their preferred alcoholic base. 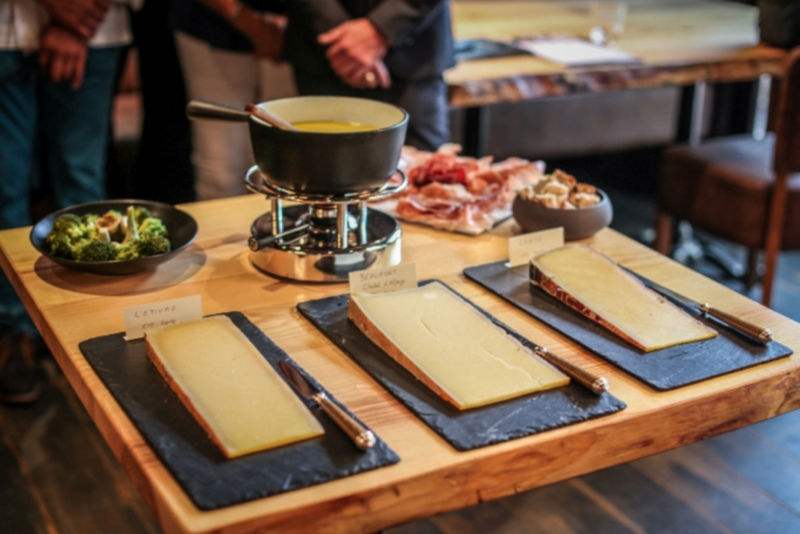 A variety of cheeses are on offer, including multiple types of Comté (aged between 7 and 28 months), as well as Gruyère, Vacherin, Abondance, Beaufort and L’Etivaz Alpage. Diners can either decide to only include one cheese or can go with an assortment, depending on their taste and mood. 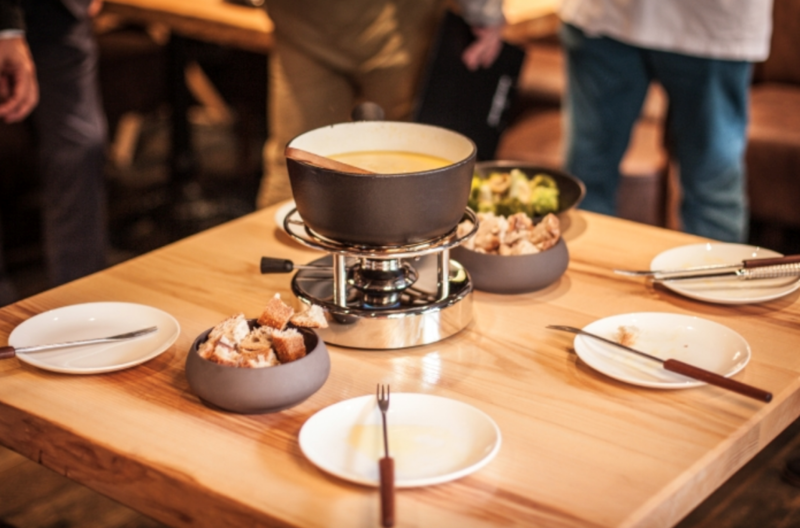 They are also encouraged to choose the alcohol with which the fondue is cooked, selecting from Champagne, Biscantin apple and pear cider, yellow wine from the Jura region, the classic white wine from Savoie (which features in the fondue’s original recipe) and Vedett lager – the latter is said to add smoothness to the fondue’s texture. Lecomte is there to guide and advise them through this process. The fondues (which are priced 42€ euros per person without condiments) can be savoured with a choice of three different breads (including gluten free bread), with vegetables (such as artichokes and broccoli), or even with buttered snails or with fruits (like pineapples and raspberries), for a creative mixture of flavours.